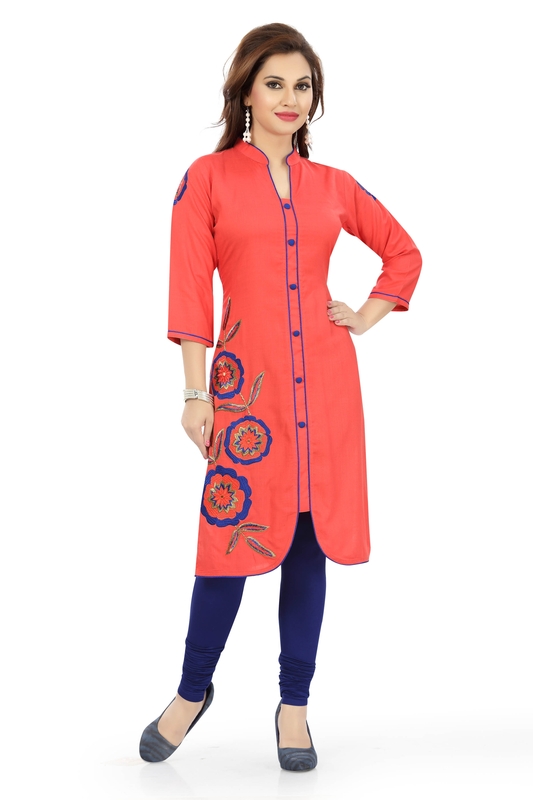 Accompanied by a Chinese collar and blue piping this Teasing Tomato Red Designer Tunic with Embroidery can be a unique addition to your fashion wardrobe. 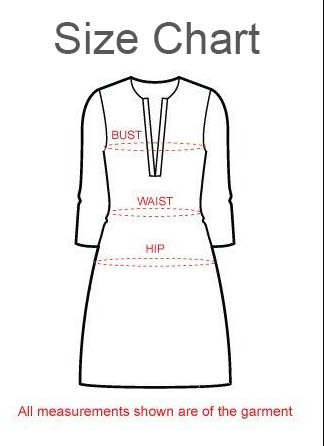 While centrally parted with a buttoned panel this comes with floral blue threadwork on one edge of the tunic. Three fourth sleeves keep you comfy throughout.